Imagine that it’s the late eighteenth century and you are King Louis XVI of France. There’s a court event to attend, but your near-sightedness will prevent you seeing enough of what is going on. So, what do you do? Bring “scissors-glasses” – a peculiar type of eyewear actually used by Louis. In this article, we look closer at these frames and see who else in history used them. Where and when were scissors-glasses invented? According to Professor Albert von Pflugk, in Germany in 1750 – though Karl von Greeff has said that this type of eyewear was first patented by George Adams of Fleet Street, London, in 1780. Scissors-glasses appear to have been most fashionable in the late eighteenth century. However, with eyewear having developed hugely since then, many of us today might wonder why scissors-glasses ever became popular. Scissors-glasses were so-called as the lenses were attached to a two-stemmed handle – and, when held in place by someone peering through those lenses, the stems would be on opposite sides of the nose, making the handle look like a set of scissor blades that could cut the nose off. 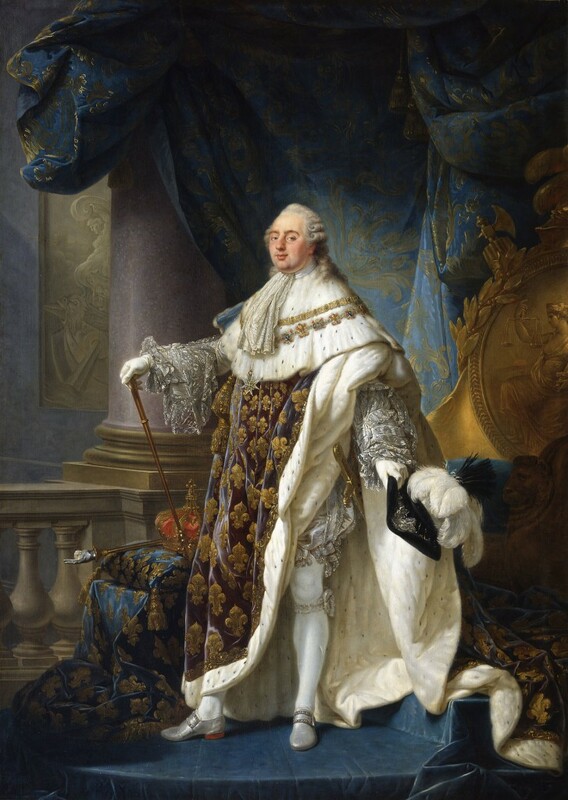 We have already mentioned below-pictured Louis XVI, best known as the unfortunate king who was caught up in the French Revolution before being guillotined in the 1790s. However, a set of scissor-glasses was also used by George Washington, who fared much better than Louis politically during the same period – he served as the first President of the United States! Scissor-glasses were also worn by the German poet, novelist and philosopher Johann Wolfgang von Goethe. Goethe was myopic, as was Napoleon Bonaparte, another user of scissor-glasses. The scissor-glasses pictured below date from about 1805, when Napoleon was at the height of his power as Emperor of the French – but his fortunes were very different by 1812. That year, he bought a pair of scissors-glasses made of mother-of-pearl and gold – and embarked on a utterly disastrous invasion of Russia which ultimately led to his final defeat at the Battle of Waterloo in 1815. Scissor-glasses were especially popular in France during what is known as the directoire period – when, from 1795 until 1799, a five-member committee called the Directory governed France. French scissors-glasses tended to be more delicate in their build, and would feature a ring to which a ribbon or gold or silver chain could be attached for hanging the eyewear from the neck. Looking over the broad choice of colours and styles available with the eyewear on offer here at SelectSpecs, it’d be understandable if you felt indecisive. Well, it would have been a similar situation for your Georgian ancestors if they were trying to settle on which scissor-glasses to buy. Some models would have handles made of mother-of-pearl, horn or tortoiseshell, while the arms holding the lenses often comprised of gold, silver, steel or an alloy. Scissor-glasses were also popular in Germany, Italy and England – so, why did they fall out of favour with the public in the early 1800s? 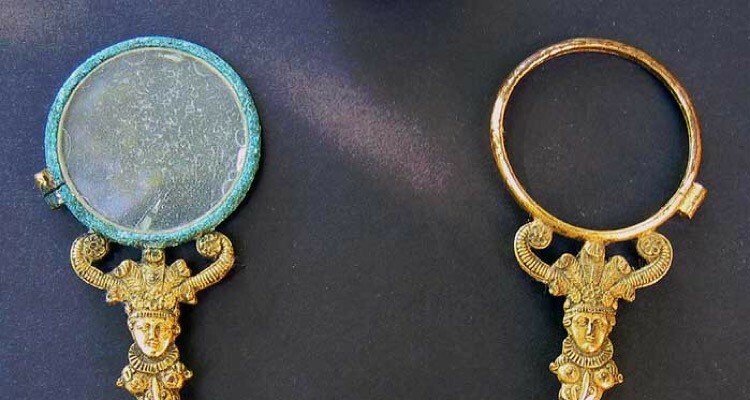 Basically because the English had changed the size and design of these glasses to make the lorgnette, a similar kind of eyewear with a lateral handle. Lorgnettes were pretty stylish – they were actually used more often as jewellery than for aiding vision – and remained popular right through the nineteenth century.